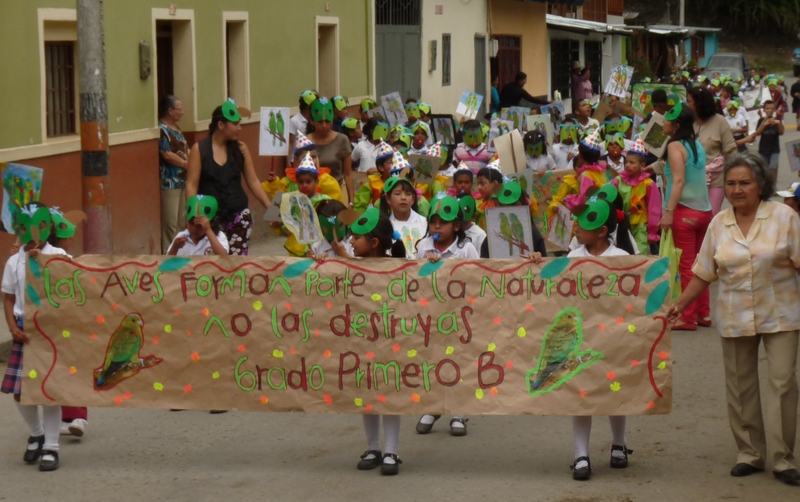 The jaguar, the Tanagers and the Fuertes parrot already have their own festival. 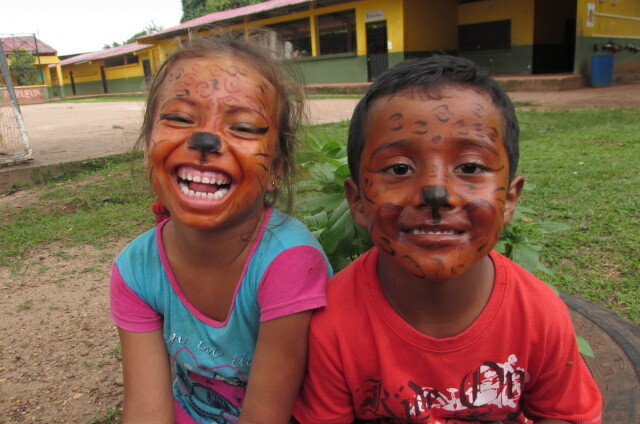 In 2014 we first celebrated the Jaguar Festival in Mapiripan, Meta; the Tangaras Festival in El Carmen de Atrato, Choco and the Fuertes’s Parrot Festival in Cajamarca, Tolima; regions in which ProAves have protected areas for these species. These and over 120 bird species in Colombia are in some category of threat and its the communities that can gestate actions for preservation, which is why for over 10 years, ProAves has been promoting their massive participation in the realization of Threatened Parrots festivals in Colombia, Migratory Birds, El Paujil and Birds of the Caribbean, added together these 3 new events were attended by about 700 people in 2014. 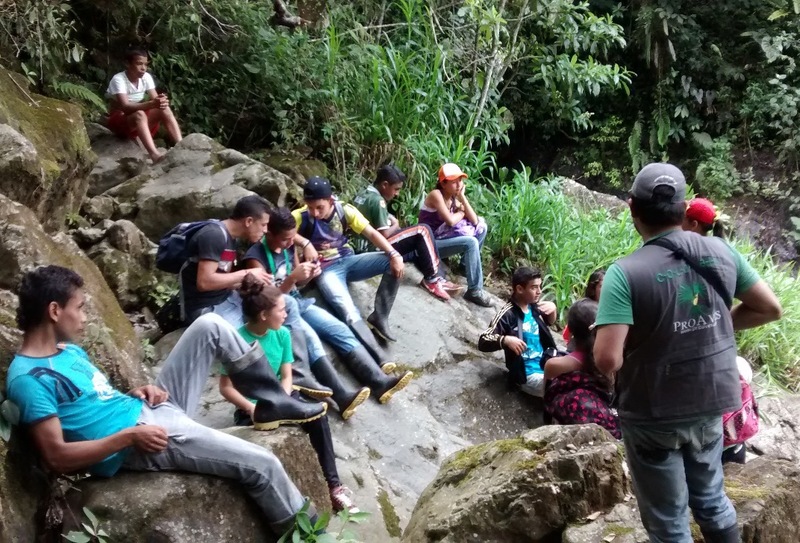 The Festivals that ProAves holds are major events that revolve around the conservation of endemic species or those with some degree of threat in a particular place. 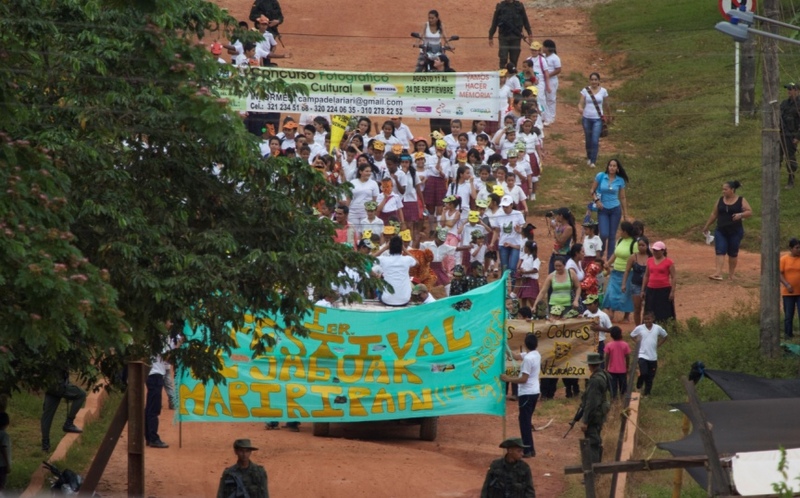 For the town of Mapiripan in the Meta department, the first Jaguar Festival became the first environmental event that was set up with the newly formed environmental committee and with local leaders, showing the interest in these communities of participating in initiatives to help reduce pressure on the Amazonian ecosystems that are home not only the Jaguar (Panthera onca) but other threatened mammals such as the Pink Dolphin (Inia geoffrensis), Red Deer (Mazama americana), Tapir (Tapirus terrestris) and Churuco (Lagothrix lagotrica). The Jaguar represents the importance of conservation of these umbrella species, in this case for the regulation of populations they hunt, their habitat disappears dramatically, forcing them to seek prey in livestock areas, dying at the hand of humans. The festival teaches to protect, to get to know its natural history promoting from biological knowledge their protection and cultural roots. Folk dances, Plays, Dance, Song, Musical. We thank the mayors, community leaders, corporations, committed teachers, educational centers, parents, local merchants, for their support in the celebration of these events.